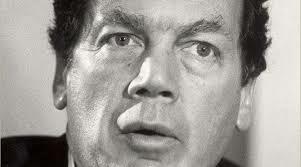 Edgar M. Bronfman, the billionaire businessman and philanthropist who as chairman of the Seagram Company expanded his family’s liquor-based empire and who as president of the World Jewish Congress championed the rights of Jews everywhere, died on Saturday at his home in Manhattan. He was 84. His death, of natural causes, was confirmed by the family’s Samuel Bronfman Foundation. Mr. Bronfman inherited control of Seagram from his father, Samuel Bronfman, an irascible, self-made Canadian magnate who founded a distilling company in 1924 and got rich during Prohibition when Bronfman liquor found its way to American customers through bootleggers. Edgar gave the company a more sophisticated image, in keeping with his own elegantly turned-out profile in New York society — a prominence underscored in the 1970s by the headlines generated by the kidnapping of his son Sam for ransom money.